The Wii U hasn’t had the best of times dating back to its launch in 2012. Nintendo (and many others) felt it would clean up rather nicely riding on the coattails of the Wii. Sadly, that didn’t happen and for many it actually left a bitter taste in their mouth. The thing is though, the Wii U is an amazing console and it could do a lot of things properly. The biggest issue that it had was that Nintendo never pointed out that the Gamepad wasn’t merely an add-on for the original Wii. Case in point, a colleague of mine bought a Wii U for her daughter, but still thinks it’s a black Wii with a fancy new controller. That stumbling block has cost Nintendo dearly since there was such a small adoption rate of the console. In respone to this, many third parties pulled their support from the console. EA were the first to fire the shots in that slaughter and they only released a handful of games on the console. This is actually a real shame since the Wii U version of Need for Speed Most Wanted actually bests the PS3 and Xbox 360 versions in terms of game play and also visuals. The same is true from Splinter Cell Blacklist from UbiSoft. It could be argued that Nintendo didn’t help the situation with the Wii U. This will be the first 3D home console that Nintendo have released that doesn’t have a ‘true’ Super Mario game that is like SM64, Sunshine or the Galaxy games. Instead, gamers were given a choice of New Super Mario Bros and Super Mario 3D World. Both of these are excellent games, but they don’t capture the same magic that the solo 3D Mario games offer. Sadly, F-Zero hasn’t made an appearance on the console which is a shame since this was actually a launch title for the might SNES. That could have been a key selling point for the Wii U as many have been waiting years for a new F-Zero. The same can be said for the Metroid series, with the last proper instalment being on the Wii. Having said that, Nintendo did bring us Pikmin 3 which is an amazing addition to the franchise as well as two superb Zelda re-masters; Wind Waker and Twilight Princess. Nintendo have also in 2014 brought us the finest Mario Kart to date, with Mario Kart 8 boasting some of the features you’d find in an F-Zero game. This even included DLC and people are still playing this 2 years down the line. Then we have possibly the one Super Mario game that gamers have been waiting for 30 years; Super Mario Maker. As the name suggest, it allows you to make and play your own Mario levels, as well as playing those designed by others. Some are extremely easy, some run on autopilot which highlights the creativity of the designers and some levels are even harder than the hardest levels in the Lost Levels. It would be silly to not mention amiibo. These little figurines have been a major boost to the balance sheets of Nintendo and have caused a frenzy online regarding the rarity of some of them. Basically the unlock extra features in your games, but due to their low price and their high quality they’ve flown off of the shelves. If there was going to be one game other than Super Mario Maker and Mario Kart 8 that was going to stand out, it would be Super Smash Bros. The 4th iteration in the franchise is the best to date with a wealth of characters and a feeling that is much more like Melee rather than Brawl. With better online support and amiibo functionality, Super Smash Bros on Wii U is the best game on the console. As with the 3DS, Nintendo have included the eShop on the Wii U. This offers a wealth of titles (with frequent sales) from various platforms including the Wii and DS. Whilst it would have been nice if there were more Nintendo 64 titles on it (Majoras Mask is still absent), there is the prospect of there being more titles added to it before the Wii U is shelved. Sadly, Gamecube games were never released on Wii U, although this could be rectified on Nintendo NX. The system itself is actually pretty powerful. The key selling point was the Gamepad and it works brilliantly well. The battery life averages around 3-5 hours and whilst this isn’t the best, a battery pack with a longer life is available. The power cable is pretty long too so you could just plug it into the wall. The off TV gameplay mechanic was and still is a wonderful idea and could be classed as a simpler way of game streaming. Depending on what your property is like, you could have the Wii U in one room and play a game in the next. 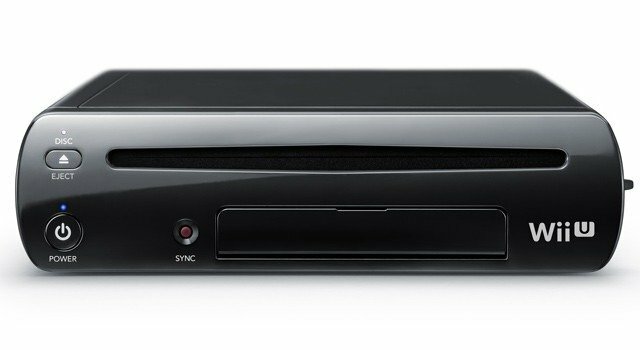 The Wii U never had Blu Ray playback on it, although no Nintendo console (apart from the Panasonic Q) has had multimedia disc playback. The Wii U is an amazing console and in years to come I firmly believe that it will be remembered as fondly as the Dreamcast is. It didn’t have the best of starts and that crippled the machine. However, every time I turn mine on I’m left with a huge smile on my face and at the end of the day, that’s what it’s all about.